November 16, 2011  In what looks to be the largest such attack so far in the months-long uprising against the Assad regime, the Air Force Intelligence building and other sites were struck, activists say. Robert Ford, the U.S. ambassador to Syria. 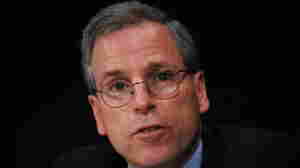 October 24, 2011  Ambassador Robert Ford has called attention to the Assad regime's violent crackdown on opponents. In September, his convoy was attacked. Now, there are new threats, the U.S. says, and it blames the regime. October 14, 2011  The Assad regime's use of "excessive force to crush peaceful protests" has led to a "devastatingly remorseless toll of human lives," U.N. High Commissioner for Human Rights Navi Pillay says. 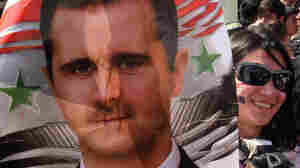 August 18, 2011  Sources tell The Associated Press that perhaps as soon as today the Obama administration could issue a call for Assad to leave office.